‘Tis Whisky Season! English Whisky? Single Malt for your Sweetie? Single malt scotch or candy… which to purchase for your sweetheart for Valentine’s Day? Well now you can purchase candy made WITH single malt scotch – yum! 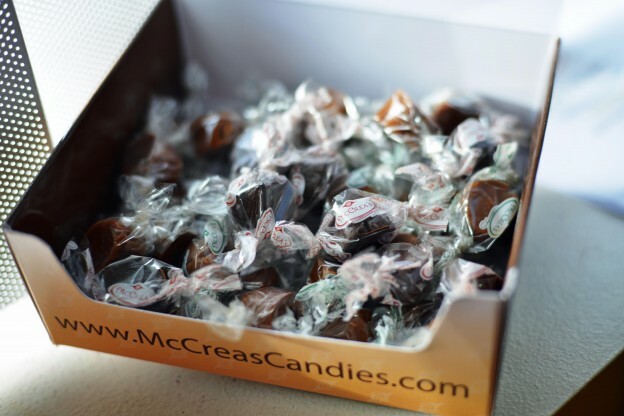 McCrea’s Candies makes handcrafted Highland Single Malt Scotch caramels that are slow cooked to a precise temperature to ensure a smooth and creamy texture. They complete the recipe using a Single Malt Highland Scotch Whisky with a hint of peat that plays against the sweetness resulting in a complex flavor with a long, smoky finish. McCrea’s Candies is located in Boston at 202 Neponset Valley Parkway – just in case you need to swing by and pick some up today.